These are some of the websites produced by Lattery Creations. 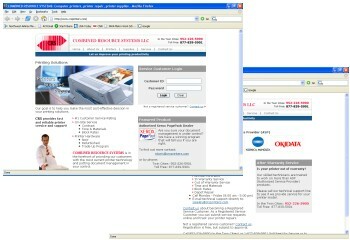 We take pride in our overall layout as well as the ease of navigation. We also work with the client to help provide the content they will need to make the website a success. Combined Resource Systems LLC needed a complete makeover of their old outdated website, and Lattery Creations jumped at the chance. In addition to updating the entire look of the website, we included a sign in for service customers and added a database. Now CRS customers can see exactly how their printer service is progressing and any details they need to know of what is being done. Lee Her is singer/songwriter in the Hmong community in St. Paul, Minnesota. Our job was to increase his visibility to the public and to help him sell his music online. 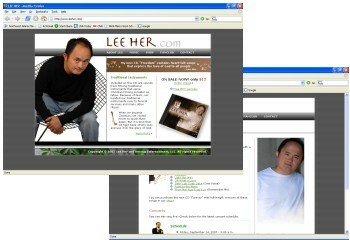 We became familiar with all aspects of Lee Her's artistic work and tried to embody that work in his website. The look and feel of a website is very important and Lattery Creations concentrates on adding personal touches to capture the essense of the person being reflected in his or her website. We also added a customized, very easy to use shopping cart so visitors can purchase his latest CDs using PayPal. Copyright © Lattery Creations. All rights reserved.